Our User Interface in First Medical Suite incorporates simple buttons and controls to display and record Patient information and records. That same intuitive control panel allows a professional to Schedule patients and conduct comprehensive exams and patient encounters without having to spend countless hours in class and or training sessions just to begin using the EMR. 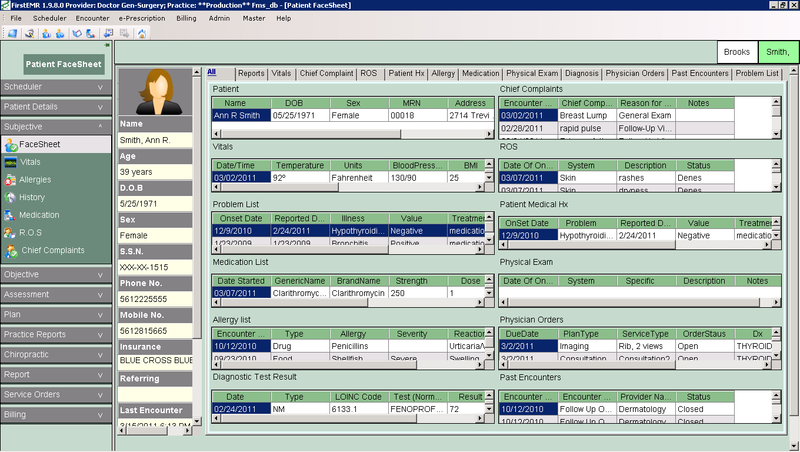 The left panel of the software allows a medical practice to move from one step to the next with clarity and efficiently. We have modeled our EMR application to mimic a typical medical practice workflow process. And with additional customization and specialty templates specific to a provider's needs, First Medical Suite offers an even more tailored interface. 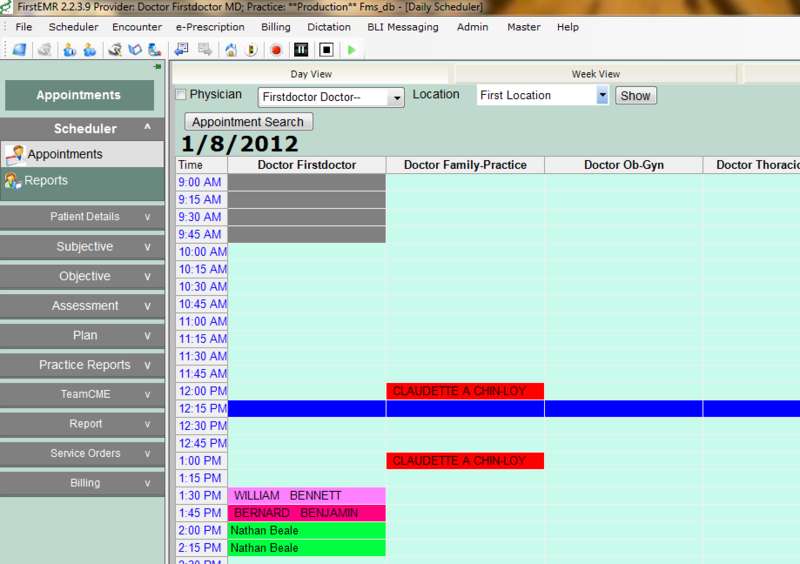 Take a look at our Scheduler and see how easy it would be to schedule patients. Every control or feature is plain and simple. Using colors and large buttons that plainly describe the process or the task. First Medical Suite has been designed by Doctors and for their use. We did this to insure that any Physician or their staff could easily navigate throughout the application with little effort. See the many Screen-shots in our (First Medical Solutions Flyer) EMR demonstration page. We have the technical features you require and yet keep the software easy enough for anyone to use. When an application is easy to learn and simple to use, it means your staff will use it more effectively and that the software improves overall office workflow. Complicated EHR software is hard to use and employees are forced to use it. This slows down office efficiency and decreases an EMR's effectiveness.